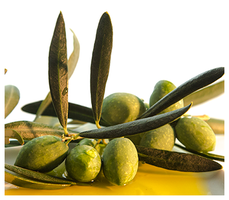 Extra virgin olive oil is a dietary fat extracted from the olives, overall from the bearings of the olive trees. All the oils from vegetable origin contain the same amount of fat: 9kcal per gram. Extra virgin olive oil, unlike other oils is rich in polyphenols which makes the tastes bitter and spicy, but has properties that protect the human body. Since it is more flavorful, only a small quantity of olive oil is required to dress food, which as a result ensures a lower ingestion of fats. Food legislation establishes that extra virgin olive oil has to be extracted from superior category olives and obtained only from the olives end exclusively using mechanical means. The cultivation of olive trees originated a long time ago in the area which includes the Armenian Highlands, Pamir and Turkestan from where it was spread to the Mediterranean shores. Olive growing was practiced in Crete during the Minoan age (3000-1500 B.C. ), in Egypt in 2000 B.C. and in Palestine in 1000 B.C. Preserving and exporting olive oil originates from the Crete Islands. In Greece for the first time, the oil was used not only in the food sector but also in the cosmetic one; in fact it was used as body oil useful for moisturizing and keeping the body in a perfect physical form. During the Roman Empire period the oil was used to anoint the gladiators in order to make their bodies more nice and shiny and to improve their dexterity, creating a more difficult grasp of the adversary. In the I millennium B.C. Phoenicians and Greeks (Which colonized Catania in 750B.C.) introduced olive growing in the eastern area of Sicily. The fertility of the volcanic soil and the excellent water supply possibly justified the choice and the occupation of the city in ancient times. The presence of Mt. Etna in the area has nurtured the myth which suggests that the cultivation of olive trees in this area with Homer’s Odyssey being the most well-known source. In the Greek epic poemPolyphemus is the embodiment of Mt. Etna, with his single burned eye, was blinded by Ulysses and his men with a sharpened olive log. Sicily has always been considered a historic stage of fundamental importance forolive tree growing development. Thanks to its morphology and the climate, the Sicilian land is the ideal habitat for the olive trees, with growing extending to almost the entire island. Only a few specific areas are characterized by the olive trees growing importance and characteristics features of the olive oil. Among the Sicilian high quality olive trees we can find the following trees species:Nocellara Etnea, Tonda Iblea, Moresca, Nocellara del Belice and Biancolilla. The Mediterranean production which had his illustrious and ancient origins in Greece and Sicily make olive oil the main food dressing which has the same nutritional values over the centuries and today we know all its beneficial properties. The extra virgin olive oil is the best for nutrition, not only for its fragrance and flavour, but also for its nutritional and organoleptic proprieties which make oil suitable for child and elderly people feeding because its fats are well absorbed by the intestine and easily digestible. The olive oil effects a protective action for the gastric mucosa, decreases the risk of gallstones and encourages their flux helping the liver. 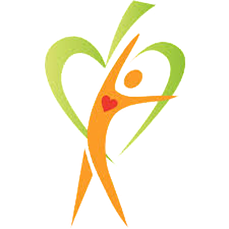 Unlike the seed oils, the peculiar acid composition of olive oil is rich in monounsaturated fatty acids, predominantly oleic acid which are valuable allies for the blood vessels and heart protection. The olive oil contains a right balance between monounsaturated and polyunsaturated fats which allows reducing the LDL cholesterol and increases the HDL cholesterol. Thanks to the presence of antioxidant natural agents, the olive oil effects a protective action against the damage caused by the free radicals and slows down the ageing of the cells. The health benefits of olive oil are considerable, for this reason it has become a focus of attention for many doctors, nutritionists and dietitians. Stop with the false myths! All oils have the same amount of fats and 9 calories per gram. The extra virgin olive oil is no fatter than seed oil. 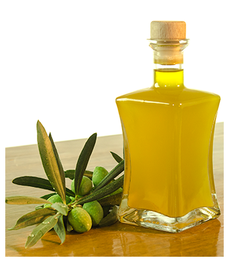 In daily cooking only a small amount of olive oil thanks to its flavour and viscosity. Extra virgin olive oil is the most digestible among oils and it is even recommended in infant diet. Palm and coconut oils are often hidden in the words “vegetable fat” and are full of saturated acids (which influence the cholesterol level) typical of animal oils. Extra virgin olive oil has a better resistance to high temperature thanks to a high monounsaturated fat content. Furthermore, the presence of polyphenols and tocopherols, typical of extra virgin olive oil, help fight free radicals. Due to the large and low frying pan shape, the oil has a wide air-contact surface that causes a rapid oxidation of the oil. It is more advisable to use a narrow and deep cooking container (ex. Quart saucepan, deep fryer). The most suitable containers for oil conservation are dark glass bottles, aluminium bottles, tinplate cans or stainless steel container because oil is protected from the light that catalyse the oxidation. Olive oil should be stored in a cool dark place with an ideal temperature between 12-18?C. Olive Oil usually absorbs all smells; the worst place to store olive oil is near detergents, cured meats, wine or vinegar. It is advisable to keep olive oil for everyday use away from heat sources. The Oil Acidity is not perceived through taste but only through a chemical analysis, and it represents the percentage of oleic acid. What directly influence Olive Oil organoleptic proprieties are cultivation practices; the harvest period, the harvest methods, the period between harvest and milling, the oil extraction technologies and the Oil storing. All these factors influence the organoleptic proprieties of olive oil. Extra virgin olive oil is a typical product if only it has peculiar organoleptic proprieties (smell and flavour). The distinctive nature of the product is closely linked to the geographical environment in which olive trees growing, and it is also linked to olives variety. An example of typical oils is PDO (protected designation of origin) oil.